28 August 2018: Carlton & United Breweries is set to shake-up the Australian beer market by releasing the first non-alcoholic beer in the brewery’s 180-year history. Its release marks a long-term shift in Australia’s drinking habits: low and mid-strength beers now represent 20% of CUB sales as people increasingly moderate their alcohol intake. Carlton Zero will expand the number of occasions people can enjoy beer while encouraging moderate drinking and a long-term reduction in harmful drinking. While Australian sales of non-alcoholic beers have grown 57% over the last five years, the sales volumes of non-alcoholic beers are very modest in Australia compared to the US, Canada and Europe. CUB’s launch of Carlton Zero is expected to significantly increase non-alcoholic beer sales in Australia. Carlton Zero has a real beer flavour that proves it’s possible to make a great tasting non-alcoholic beer. Slightly hoppy with a fruity aroma, it is a full-flavoured classic beer style. Even though Carlton Zero is a non-alcoholic beverage it will be marketed only to adults in strict accordance with the Alcohol Beverages Advertising Code. Carlton Zero will be available in coming days in liquor stores and major supermarkets across the country, where it will go head-to-head with other non-alcoholic beers. It will be sold in matte-black cans and stubbies. We’ve listened to customers who have told us they want more opportunities to drink responsibly but still want a great-tasting beer. So we are re-writing the rules to give people a non-alcoholic beer that actually tastes like beer. Carlton Zero will be promoted to adults and comes as demand for non-alcoholic beer continues to grow in Australia and internationally. 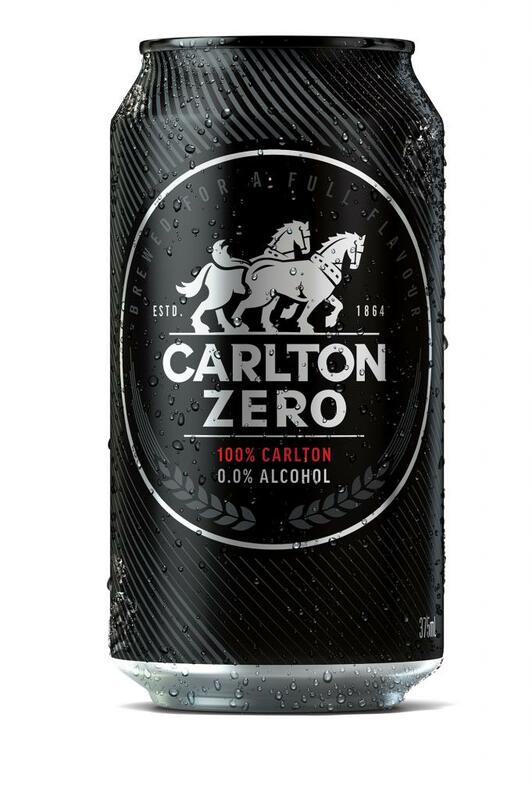 While non-alcoholic beer has been available in Australian supermarkets for years, we’re expecting Carlton Zero will shake-up the market. It’s crafted with the same quality ingredients as our other iconic beers to give it a great-tasting flavour. This is an historic release for CUB and we are proud to add Carlton Zero to our portfolio of some of Australia’s most iconic beers.